To the uninitiated, acne is one of the most common skin disorders in the world. When pores become blocked due to a buildup of oil or dirt, pimples begin to form as the body tries to naturally bring dead skin cells to the surface of the skin via follicles. About 75% of us – both men and women – aged between 11 to 30 years of age will experience it. Most common among teenagers during the onset of puberty, young men tend to be more prone to it as higher amounts of testosterone being produced amplifies breakouts. 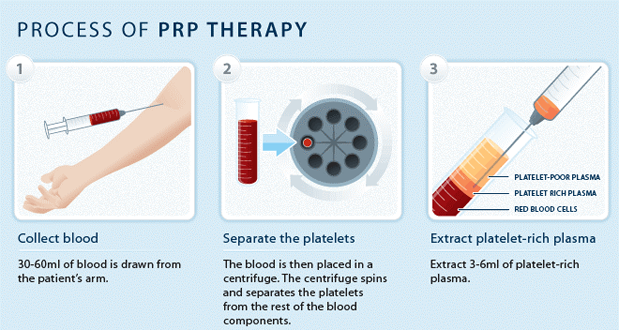 As blood is drawn from the body as part of this therapy, Platelet-rich plasma (PRP) therapy is sometimes called ‘Dracula’ or ‘Vampire’ therapy, but don’t fret, it’s not as gruesome as it may sound. Only a small amount of blood is necessary.Once blood is drawn, it is placed in a machine where platelets and blood cells are separated. Next, the blood is re-injected into the body at targeted areas with a serum – to help stimulate the production of natural collagen and plump the skin – ultimately resulting in healthier skin appearance and growth.Depending on your rate of recovery and your doctor’s recommendations, you may require between 2-3 treatments (over the course of 4-6 weeks) for optimal results. Talk to our friendly doctor about your acne problems!